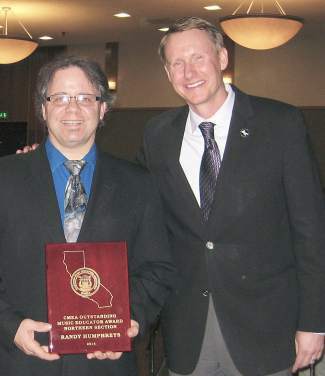 Randy Humphreys, left, accept an award from Russ Sperling, president of the California Music Educators Association. TRUCKEE, Calif. — Randy Humphreys, Alder Creek Middle School teacher, has been awarded the 2014 California Music Educators Award for Outstanding Music Educator for Northern California. This honor was awarded at the California Music Educators (CMEA) All-State Conference which took place Feb. 20-23, 2014. The CMEA Northern Section includes every school north of Interstate 80 and parts of Highway 50. 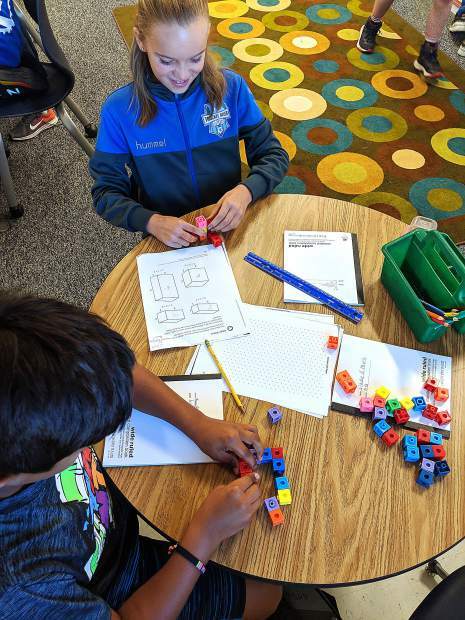 It cuts through Sacramento and covers all of the schools to the Oregon border. Educators are nominated by their peers and are awarded this honor based on their excellence and commitment.